Streamline your time management processes with our time and attendance tracking software. Our solution automatically captures data from a variety of sources. Then it lets you know who is doing what and why — at all times — so you can get the most from every labor dollar spent. The result: increased efficiency and reduced labor costs. Track and understand true labor costs by enforcing flexible, user-defined pay rules. Maintain compliance and improve payroll accuracy with simplified timecard management. Avoid payroll errors by managing exceptions—including missed punches and early/late arrivals— in real time. For flexibility and convenience, you can assign daily, weekly, or configurable patterns to schedules. You can also view employee preferences and make adjustments on the fly. Give employees access from the web, a mobile app, or the time clock to make reporting accurate and convenient. You can even track scheduled hours versus worked hours, as well as projected hours. This allows you to budget labor costs, forecast overtime, and keep costs within expectations. Tracking eligibility based on tenure, hours worked, vacation, sick time, and other user-defined criteria. Preventing unauthorized time off and late returns with built-in notifications. Automatically calculating accrual balances so managers have immediate visibility into current status. The leave of absence module automates the enforcement of policies for a variety of leave types, including the Family and Medical Leave Act (FMLA). Automated legislative updates keep your system current with the latest federal and state leave regulations. Plus, one click access to leave eligibility and availability information helps drive better decisions and minimizes compliance risk. "My time-keeping and payroll requirements were not easy, but the staff at Fuse were there every step of the way to ensure that payroll was paid-out correctly to my employees. They come highly recommended." 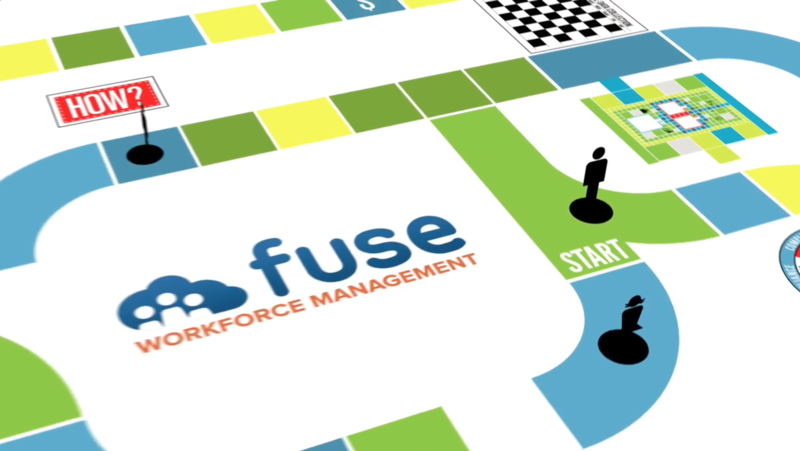 "With Fuse, Time and Attendance and Payroll are integrated into one solution. With a minimal local software footprint (a small monitoring application for the time clocks) we were able to integrate our existing timeclock hardware with the Fuse system. The rest of the system is web-based and very powerful. With their task-based approach, the people at Fuse have made processing payroll nearly fool-proof."